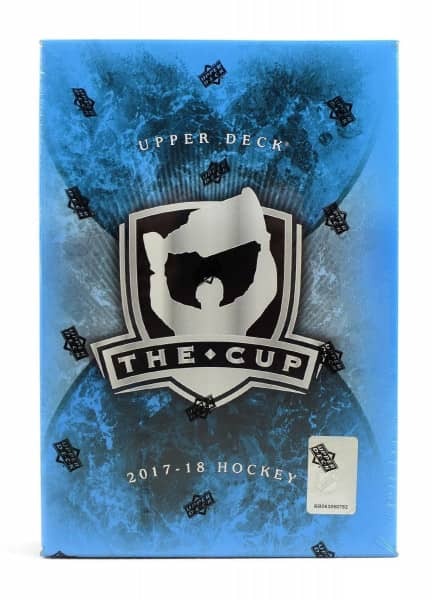 Factory Sealed 2017/18 Upper Deck The Cup Hockey Hobby Box mit 1 Pack Per Box, 6 Cards Per Pack. In jeder Box: 1 Autogramm Rookie Patch Card und 1 weiteres Autogramm / Patch Card ! Produktinformationen "2017/18 Upper Deck The Cup Hockey Hobby Box NHL"
Weiterführende Links zu "2017/18 Upper Deck The Cup Hockey Hobby Box NHL"
Fanbewertungen für "2017/18 Upper Deck The Cup Hockey Hobby Box NHL"